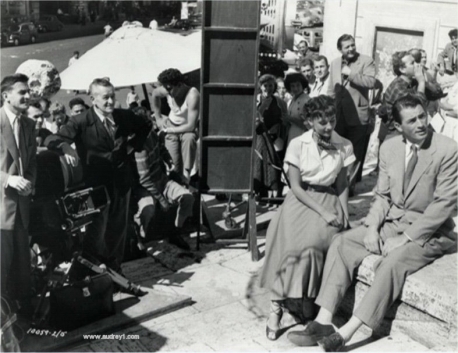 Behind the scenes of Roman Holiday. . Wallpaper and background images in the 오드리 헵번 club tagged: audrey hepburn photos actress 1953 gregory peck roman holiday. This 오드리 헵번 photo might contain 거리, 도시 현장, 도시의 설정, 도시 장면, 도시 설정, 도시 거리, 도시 장면 설정, 악사, 악대, 이글루, iglu, and igloo.